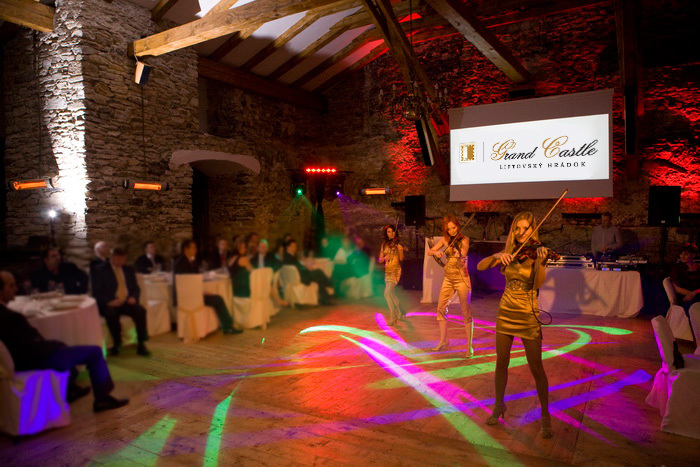 GrandCastle, located in Liptovský Hrádok, is an ideal place for organizing company, social and private events. 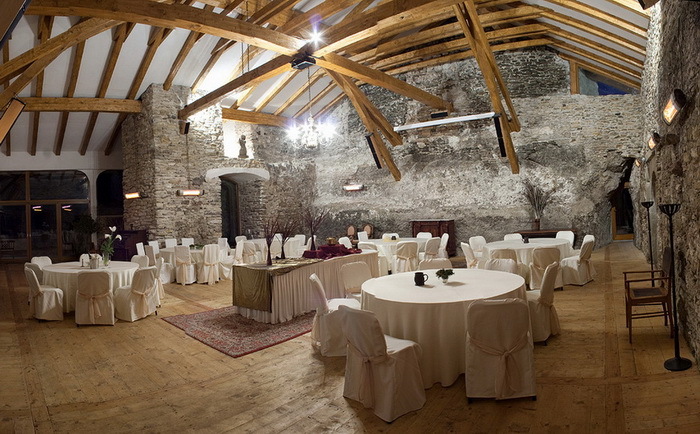 The castle and chateau offer the possibility to organize conferences on the premises of the 400-year old reconstructed chateau. The premises are designed to provide high comfort of modern requirements and at the same time, keep its historical look. 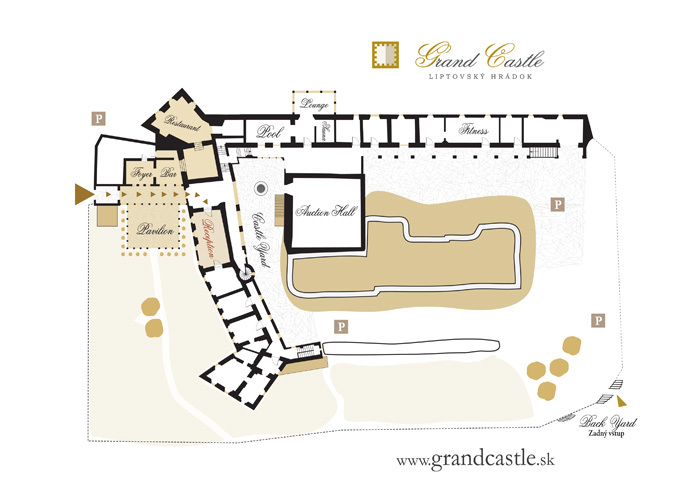 GrandCastle offers three unique rooms which are suitable for organizing company events, smaller conferences, team-building activities, auctions and exhibitions. Majesty and discreetness of the castle walls ideally help to meet requirements for business negotiations, weddings and other social and private events. 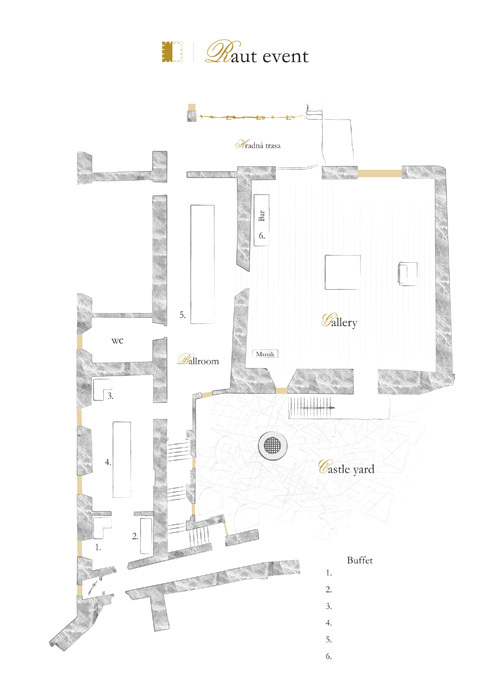 The Stone Gallery, largest of the three halls, is specific as it is the only room that connects the mansion with the castle. Its architecture combines old stone walls with modern usage of glass which gives enough light. The room is equipped with a high quality High End sound system and projection screen. A part of the hall is created by a terracce which leads to the ruin castle. Attached to the hall is a smaller room which can be used for coffeebreaks or cocktails. 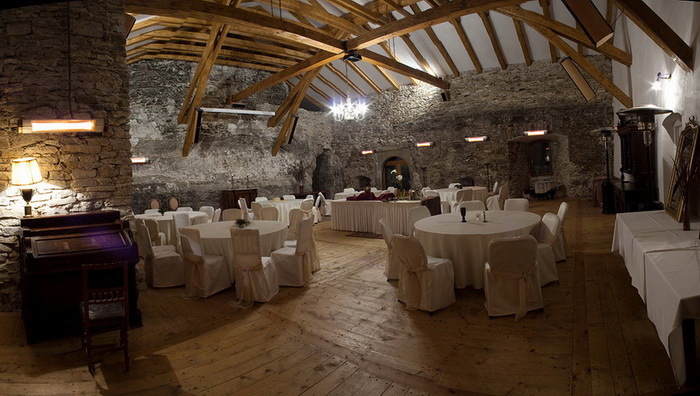 The Ballroom is a beautiful, long hall with vaulted ceilings. It can be used for various gatherings, coffee breaks and cocktail refreshments during conferences or other company meetings. In the Great Gallery, there are historical paintings, chandeliers and furniture which create a pleasant atmosphere. It is designed for smaller meetings in a discreet environment. If requested, presentation technology can be installed. All three conference halls are interconnected which is an advantage when organizing bigger conferences. Upon a request, we will arrange an accompanying program for you. There is a wifi Internet connection on the premises of the Chateau and all premises as well as rooms at our GrandCastle are non-smoking. The castle courtyard and garden, which is around the entire castle, are also available in summer or in good weather. Here, it is also possible to organize conferences, picnics, or other social activities, and additional programs. 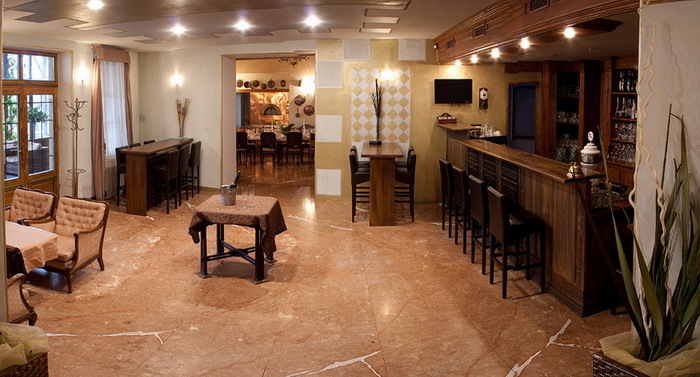 Company events, banquets and additional programs can be organized at the Magdalena Zai Restaurant. The attached outter Pavillion - in the form of a wintergarden - is also available to rent. Besides the above mentioned offer, we are ready to rent the private premises of the chateau and the park, with their special atmosphere, exclusively for you. Individual discounts are available upon the leasing of several chateau premises. 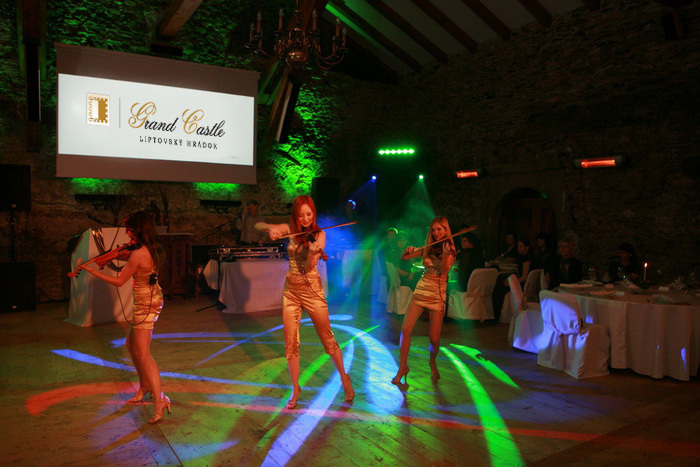 An experienced Event Manager in GrandCastle will provide further information, will be happy to prepare a custom made offer for you as well as to show you around the premises of the chateau, and agree details of your event on the spot.